The decision to go on a mission is something that each individual has to make for his or herself. This decision can seem daunting and a little nerve-racking. This guide will help any future missionary have a plan so he or she knows what to do to start preparing for a mission. Each section has recommended tips and information about what to do and when. 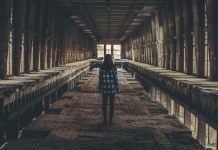 Since the historical lowering of the eligible missionary age to 18 for guys and 19 for girls, many young men and women have been deciding to leave soon after high school. For some, it may seem like the time that missionaries used to have to prepare for their mission is less, but the time is still there. It all comes down to when you start preparing. Now instead of waiting for high school to get over before thinking about a mission, many young men and young women that choose to leave soon after graduation are having to make up their minds about serving sooner and starting to preparr before high school is over. The hope is that each young man is preparing to serve a mission from a young age and that young women living according to the gospel will be ready and able to go if they so choose. With that in mind, here is a timeline with some suggestions that each future missionary should consider when preparing for a mission. Am I Able to Serve to a Mission? When a young man or woman is deciding whether or not they want to go on a mission, there are several things that he or she should consider. The church has a list of questions and requirements to help missionaries be prepared and capable of completing a mission. Understanding these questions and requirements will help you more effectively prepare for your mission as well as to know what kind of a mission is right for you. The March 2011 Ensign featured an article that talked about how to emotionally prepare for a mission. It contains tips for parents on how to be a supportive parent to a missionary. It is very helpful article for both future missionaries and future parents of missionaries to read. 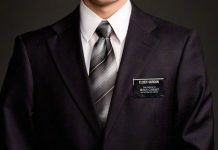 Learning to tie a tie is not the only thing you should start learning how to do when you know you will serve a mission. There are a few things that are hopefully already habits but if these aren’t, just start doing them. Once you are out in the mission field, it is basically just you, your companion, and the Lord. Although you can email your family weekly, often problems or questions arise that need to be attended immediately. When this occurs, you cannot wait to send an email and then wait another week for the response. This is where daily prayer and scripture study come in. [quote_box_right]We want to send forth missionaries who have a testimony of the scriptures and who are spiritually prepared to be guided and instructed by the Spirit. Through prayer and a continual study of the scriptures, you can develop the personal testimony you will need to guide others to develop their own testimonies. As you study the scriptures, you will find answers to your own questions as well as those of your investigators. The sooner you start studying, the better. Seminary and institute are great places for young people to have the truths they have been taught at home reiterated. 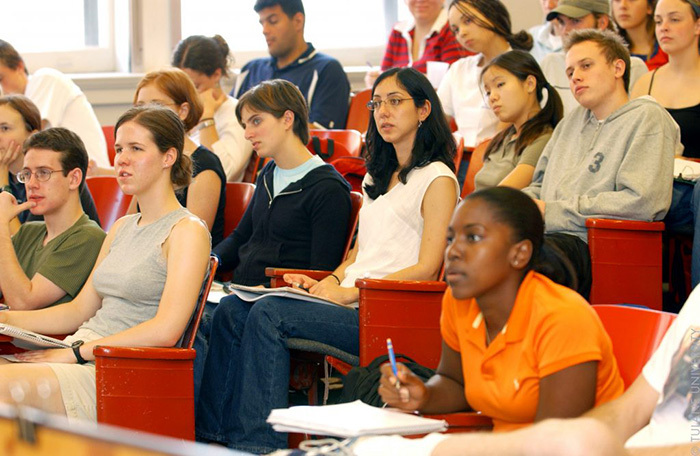 You will be so much more prepared to share the gospel is you attend seminary or institute. Not only are seminary and institute a blessing, some countries require missionaries to have proof that they have studied in order for them to proselyte in their country. Seminary potential impact on your personal testimony and understanding of the gospel is important, but it is also important because it fulfills the religious education requirements so that a person can proselyte in specific countries. A mission comes quicker than you think. Start saving now to help pay for the cost associated with it. If you plan on serving a mission, you should start saving money the moment you know that is your goal. Some know this early in life. Others figure it out later. The point is, when you know you are going, start saving money for it. 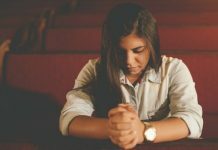 To learn more about the cost associated with a mission, mormonmissionprep.com is a great reference. If you are going to share the gospel you first have to become familiar with it yourself. If you haven’t read it already, it is a good idea to start reading The Book of Mormon at least two years before your mission. It is, after all, the key stone of our religion. Two years allows you time to read it and gain your own testimony of it. It also allows for a follow-up reading before you go. This time period also allows you to read the other important books before you leave. Reading some of the recommended books may seem daunting, but it really doesn’t require much daily effort. Here are two simple plans to help you do some of the necessary reading before going that you may choose to follow. [quote_box_left]I encourage every young man and every young woman to get acquainted with Preach My Gospel. -Elder M. Russell Ballard[/quote_box_left]There are 531 pages in The Book of Mormon. If you read three pages a day, that takes about 15 minutes, you will read The Book of Mormon in 177 days. That is a little less than half of a year. There are 403 pages in The New Testament. If you read three pages a day, you will read The New Testament in 135 days. In other words, by only reading three pages a day you can read both The Book of Mormon and The New Testament and still have 53 days left in the year. But by also keeping with the three pages a day limit, you can also finish Preach my Gospel in 75 days. In total it would take about a year and one month to read those three books, reading only three pages or about 15 minutes a day. If you were to increase your limit to four pages, about 20 minutes of study time a day, you should finish each of the previously mentioned books and Gospel Principles and still have four extra days left in the year to read something else. There are a few books on the approved missionary reading list that would also be beneficial if you chose to read them. Going on group dates doesn’t just build important social skills, it is also fun. The ability to interact with and meet new people is an important skill. Group dates are a fun way to gain important social skills that will help you as a future missionary. When you turn 16 start dating in groups with your friends. This will allow you to become comfortable in different social setting with different people. It will teach you to get to know new people, and how to carry on a conversation with both individuals and groups of new people. It will also help you learn to relate to and understand different kinds of people. 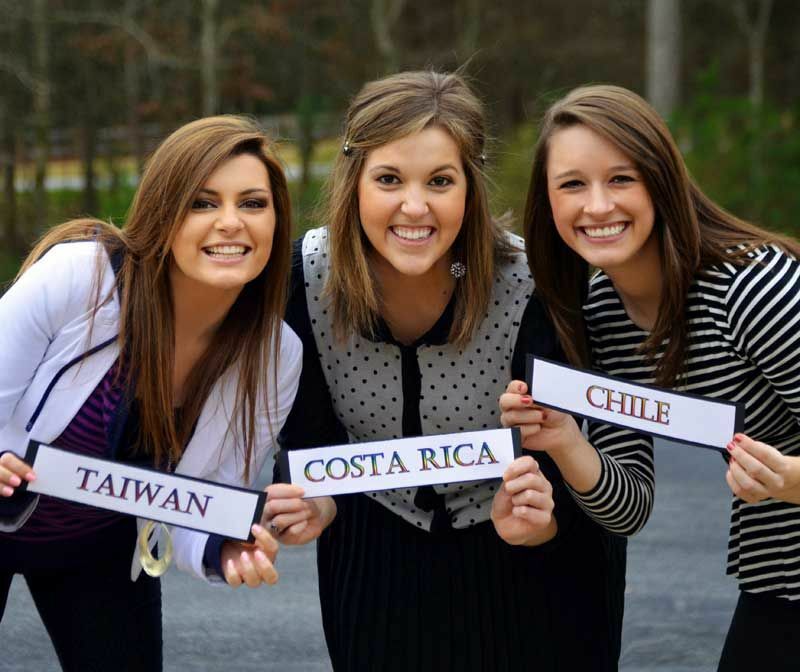 There are other social skills that each you should develop to become a successful missionary. They, along with many other tips, are listed in lesson 23 of the Aaronic priesthood manual. If you see someone that looks like they don’t belong in a church, it probably means they need what you are sharing. Not judging is the second thing on a list of 11 can’t miss tips published by Deseret News. You will deal with many kinds of people during your mission, both investigators and companions. It is important that you learn to be non-judgmental of both those you will be serving and those you will be serving with. Investigators, like you, will not be perfect. Some will be far from perfect and have a lot of changes to make before they can make baptismal covenants. A missionary’s purpose is to teach those that are lost. Do not rule men and women out as potential investigators simply because they may not seem like member material. The gospel is about change and everyone needs it. When a person realizes that you really listen to them when they talk, they are so much more willing to confide in you. Many young people, especially guys, get in the habit of trying to one-up others in conversation. This type of behavior leads a person to think of what he or she will say next in a conversation rather than paying attention to what the person who is currently speaking is saying in a conversation. This type of behavior can lead people to not want to be open with you or even share things with you. As a missionary, and in dating, it is important that those that you are talking with know you are listening to what they are saying. If as a missionary you are preoccupied with you will say next in a lesson you could miss out on the opportunity to address an investigators doubts and help him or her really build their testimony. Elder Nelson gave a talk in 1991 April General Conference called Listen to Learn. While it is not addressed specifically to missionaries, the advice and council he shared will help you as a missionary. If you can’t work well with other people, you will have a hard time being successful. A missionary goes from spending lots of time with people of their own choosing to spend all of their time with someone that is assigned to them. As a missionary, you will have several kinds of companions. Each with different backgrounds and family traditions. These differences should not be viewed as a problem or seen as my companion is wrong because he or she does things a little different than me. As a missionary, you need to learn to live with people that think and act differently than you do. Your fears will not be the same as someones else’s. 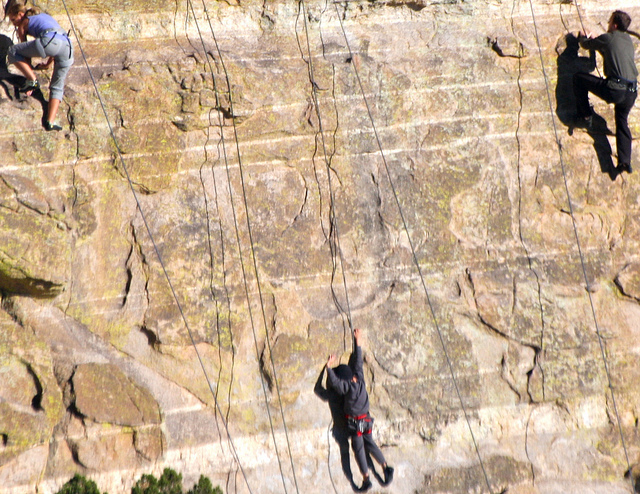 occasionally try doing activities that cause you to face you fears to prepare for your mission. As a missionary, you will become a pro at trying new things. That is why each future missionary needs to become comfortable with and learn to try new things. A mission in and of itself is a new thing for each person that will go on one. It is a new schedule, a new lifestyle, a new culture, new foods, and in many cases a new language. Because of this, you need to become comfortable with trying new and scary things. You are not always going to have the answer to question people ask you. So become comfortable not knowing and telling people you will research the answer and get back to them. [quote_right]Honest seekers of truth are finding answers to their questions—they are finding the Lord through His restored Church. The church put out a short article on how to answer people’s questions. One of the tips mentioned is saying you don’t know the answer but can follow up with the person that asked you the question after you have done some studying. A good future missionary needs to learn to say, “I don’t know” and then look for the answer. While this is not especially something that a future missionary should learn two years before a mission, two years before allows you time to adjust to a habit. You will be asked several questions throughout the duration your mission that you do not know the answers to. When this happens, most investigators will appreciate it more if you are honest with them and tell them that you do not know the answer at the time. Rather, you will search for an answer and tell them what you find later rather than trying to make something up. Learn to deal with the new challenges and opportunities that will face you each day. Successful missionaries learn to do things they don’t want to. In fact it becomes a habit. For every person, there is some part of missionary work he or she will not want to do. Maybe it is filling out the area book daily, or the weekly planning sessions or street contacts. To prepare for this, you should find something you don’t like or want to do and do it daily. This will help you develop self-discipline that will serve you well on a mission. If you haven’t done or aren’t doing these things already, 1 year before your mission is a good time to do or start doing these things. A patriarchal blessing can be a great guide in your life when deciding what kinds of decisions you will make. It can be a continual source of counsel in times of need and on your mission. It is also a requirement to get before you go on a mission. Teaching a home teaching lesson is great preparation for teaching in the mission field. 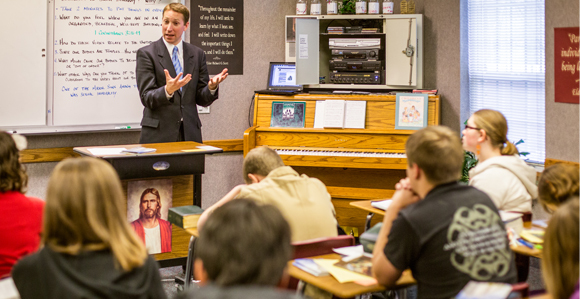 Taking or asking for opportunities to teach lessons will prepare you for missionary work. Teaching is your bread and butter as a missionary. It is the way that missionaries accomplish most or all of the goals they have. So you should start creating opportunities to teach. Home or visiting teaching or in church lessons are great places to start teaching. These situations are with people you already know. After you have taught a couple of these lessons, try teaching part of a lesson with the missionaries when you go out with them. If you really want to experience what it is like to be a missionary, set up some times when you can go out with them for part of a day or even a full day. Show up for personal study in the morning, go out on visits, see how missionaries prepare to teach investigators things specific to their needs, and then end when planning is over that night. That will give you a complete experience with them. Another thing to consider is going on days when there is a baptism planned or on Sundays because missionary’s schedules change a little on those days because there are different things to do. [quote_box_right]The single most important thing you can do to prepare for a call to serve is to become a missionary long before you go on a mission. -Elder David A. Bednar [/quote_box_right]As a missionary you will be inviting other people every day to listen to your message about Christ. To come unto Christ by helping them gain a personal testimony of the restored gospel. Inviting someone you know to hear the missionary discussions is a great way to get a little taste of what future missionary life will be like. Whether or not you like washing clothes is irrelevant when you are the only one to make sure they get clean. Becoming more responsible in order to be an effective missionary, is echoed all throughout this article. Washing your own clothes is a good way to start gaining a little more independence and by taking care of yourself. You are the one that will have to make sure you have clean clothes on your mission. There may be different options available to you to get them clean, but you will have to be the one to make sure they get cleaned. [quote_box_right]One of the greatest secrets of missionary work is work! If a missionary works, he will get the Spirit; if he gets the Spirit, he will teach by the Spirit; and if he teaches by the Spirit, he will touch the hearts of the people and he will be happy. -President Ezra Taft Benson[/quote_box_right]In the 2004 October Ensign, there is an article that lists several ways to prepare for a mission. Learning to work is one of the important attributes of every future missionary. A summer job or even a part-time job is a good way for you to learn to handle more responsibility. Showing up for work on time, learning to take and receive instructions from someone over you other than your parents is an important thing to learn. Not to mention getting a job will allow you to have some money to save for your mission. If you can’t find or get a job, ask your parents how you can help out more around the house. Or, look for opportunities to give service in your ward or neighborhood. If possible, attending a semester of college will allow you the opportunity to experience living on your own before become a missionary. While at college, you will be able to develop the necessary habits to take care of yourself while in the mission field. College also allows you to be on your own while still having the ability to call home when needed. Something that you will go without on your mission. As a missionary, some of your expenses are managed by others, but there will be extra money that you will have to budget. To cover these costs, you receive a certain amount of money that has to last until the next time you are given more money. When the money runs out, you can’t just ask your parents for more money. Learning to budget will help you to learn the difference between needs, and wants and to save for those wants. Say hello to what your planner will look like as a missionary. If you haven’t been using one before your senior year, start using one your senior year. Most schools supply their students with planners. If yours doesn’t, get one. As a missionary, your planner will be one of the tools that will help you become more successful. 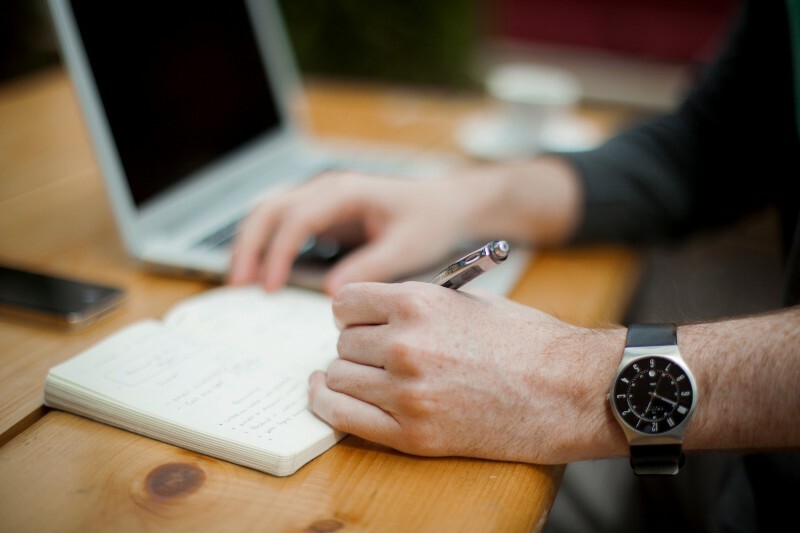 In your planner, write down when assignments are due, when big projects are happening, and when tests will be occurring. Write down what days you plan to study and what you will be studying as well as how long you plan to study. 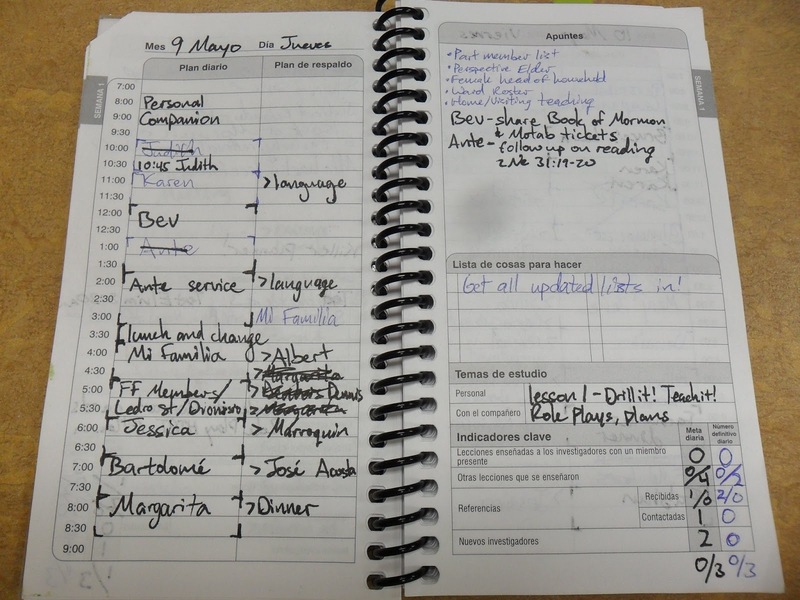 Doing this will really prepare you for learning to live an organized life aided by your missionary planner. It will make you a more successful missionary and a more successful student. It is important for you to be physically prepared for the rigors of missionary work. The schedule of a missionary, as well as the work, can be demanding. Because of this, if you do not engage in regular exercise, start doing it at least a year before your mission to give your body time to become capable of handling more physical activity. Aside from that, missionary work can be very stressful. A great way to relieve stress is through exercise. This will help you as a missionary to stay in good mental, emotional, and physical health. When preparing for your mission, keep in mind that most of the time going to the gym is not an option. In the MTC, they will teach you some ways to workout. But, if you want to do something else, you will have to come up with alternative workouts on your own. With the lowering of the missionary age to 18 and 19, many young men are going out on their missions without considering where they will be attending college when they return. Perhaps they have an idea, but they should spend more time preparing, getting things in place and reviewing their options. Depending on when you get off your mission, you may have just missed the deadline to register for the school you wanted to attend. This means you may have to wait several months to a year before you be able to start school. If you have a plan of what you want to do after your mission before you leave on a mission, it will be that much easier to get things going after your mission is completed. Even if you change your mind about what you plan on doing. Isaiah calls fasting the power with will break any yoke, loose the bands of wickedness, and undo the heavy burdens. The late Elder Joseph B. Wirthlin gave a talk in the 2001 April General Conference about the power of fasting. His words can help you to gain a testimony of fasting and its power if you do not yet have one. When you are a missionary you will fast frequently for several different reasons. To find new investigators, to know how to help an investigator progress or stop smoking or drinking, for personal help, for family members at home, to learn the language, and many other reasons. It can be hard to go from occasionally fasting once a month for a period less than 24 hours to 2-3 times a month depending on your needs as a missionary. By starting to observe fast Sunday each month for the full 24 hours, you will be much more prepared to gain the blessing from the fasting that will occur on your mission. You need to learn to think through many of your problems without your parents help because you won’t be able to talk with them as frequently as before. Some young men and women go to their parents often when they have problems, even little ones. It’s a good thing for children to want to get advice from their parents. As a missionary though, you won’t have that luxury. On a mission, you can occasionally ask your mission president for help and advice, other missionaries, or your district and zone leaders. But there are problems or instances that occur that require answers at the moment. To be an effective missionary in some instances will require you to find solutions to problems or situations at the moment without being able to seek help from others. There are many things that help a missionary be more prepared for the specific people and area they will be serving. Checkout the YouTube page Prepare to Serve! If possible, it is very helpful to talk with someone that served where you will be serving or in a place close to where you will be serving. He or she can give you some general advice about specific things to do or acquire to prepare for your specific mission. Here are a few things to him or her them about. The more you learn about your specific mission, the more prepared you will be to serve there. The key to connecting with and understanding people is to know what makes them do the things they do. You may have already talked to a returned missionary about these things, but you should also do some of your own research on these subjects to see what other helpful things you can learn. You will probably learn a few things that will help you be more effective as a missionary. There may be certain customs and habits that might seem strange to you if you are entering into a new culture. If you want to understand the people well, do some personal research on these things and you will be more effective. You will get a list of the clothing you should take on your mission, but a lot of the things on the list are generic things they recommend that missionaries have. Talking with someone that has lived in the country can help you learn things like what kinds of shoes will last longer there or be warmer, or if a certain type shirt will be too hot or cold because of the type of fabric it is made out of. This will help you be more prepared for your specific mission. If you know you’re going to be learning another language, there is no reason to wait until the MTC to start learning the language you will be speaking on your mission. This blog post by an LDS person has 12 tips to help missionaries learn their language once they are on their missions. This blog post not by a non-members has 8 tips for learning a language. Other ideas include purchasing a dictionary, making flash cards, putting sticky notes around your room or house, or getting someone that knows that language already to tutor you before you leave. Those are just a few ideas to get you started. You will be grateful for any language training you receive before the MTC once you get to the mission field and that is the only language you are hearing. The church has clothing guides available for both Elders and sisters. Approved clothing can vary based on the mission. Each mission will require a missionary to have different items if it is going to be prepared. Your mission call packet should contain more of the specifics about your mission as well as some general information. However, there is an online guide provided by the church that Elder and Sister missionaries can follow when rounding up clothes for their missions. 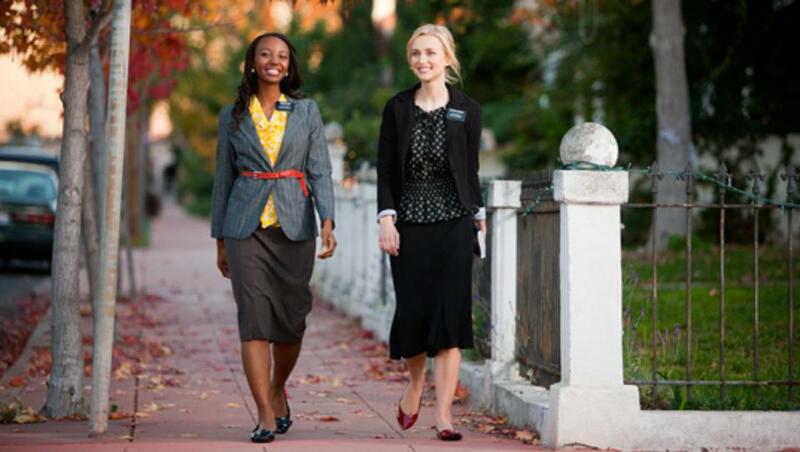 On YouTube there is an Ultimate clothing guide for sisters missionaries video with great advice for sister missionaries when it comes to what kinds of clothes and shoes to bring on your mission. 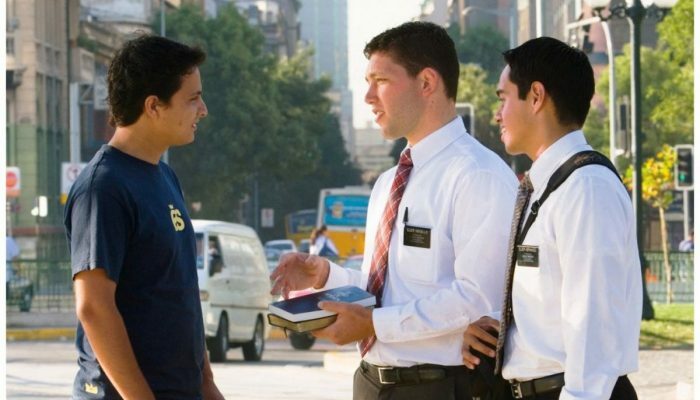 The MTC allows a missionary some guided, final preparation time before entering the mission field. Obviously, each MTC is going to be a little different layout wise and size wise, but each MTC will teach you the same skills and truths to prepare you for your mission as well as provide you with the same basic services. the church has a New Era article called The MTC Experience that is a helpful recommended read. 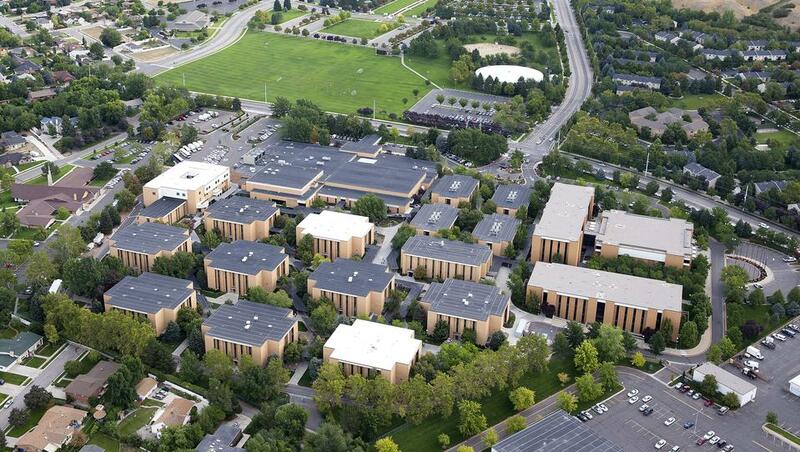 BYU also has a helpful webpage that offers a virtual tour of the Provo MTC, along with some general information about places and meetings in the MTC. Prepare to Serve! is a YouTube channel with hundreds of videos of missionaries talking about their missions from all over the world. It also has other videos related to missionary work. As a missionary, you are going to be busy so learn to prepare a few quick easy meals before you go. In the midst of all you are trying to get done, there will not be a lot of extra free time to cook a three course meal. 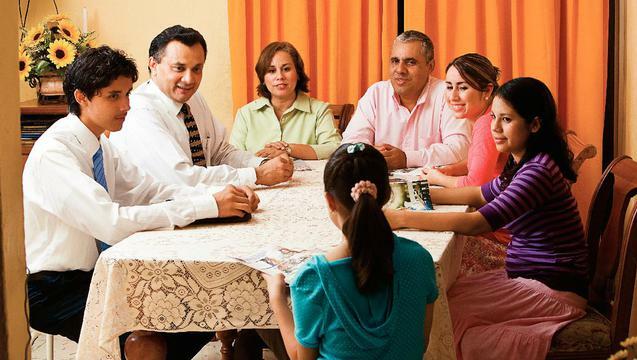 I would give you some basic ideas, but each family is going to have different tastes, and depending on where a missionary serves there will be different items available. It is best if you ask your mother for at least 3-4 easy things you can make for each meal of the day. Keep in mind that you will probably be eating at a member’s homes depending on your mission. So don’t feel like you be making meals all of the time. Have someone teach you how to sew a button back on, and how to fix tears for when they occur. Buttons are going to come off your shirts, pants and maybe even your suit coat. You will probably tear your pants or a shirt for some reason or other, or have to fix some holes in your socks. When that happens, sometimes the only one that will be able to put it back on for you is you. You may have a local that could help you, but don’t count on that. You will also get stains on your clothes. It could be blood, mud, grass, juice or any other thing that likes to stain a white shirt. Different types of stains can require different treatments to remove them. Have someone teach you the process to get out different stains. It might even be a good idea to write it down so you have it in case you forget. There are several ways to save space when you are packing a suitcase and there are several things that you should have in mind when packing yours. When you pack your bags to head off to the MTC, weigh them and make sure you are underweight and have extra room in your bags. When you are at the MTC, you will pick up a few extra things that you will want to fit into your suitcases. If they are already full and at your weight limit, you will have to pay a baggage fee if you are going to take those things with you. Roll your clothes instead of folding them. 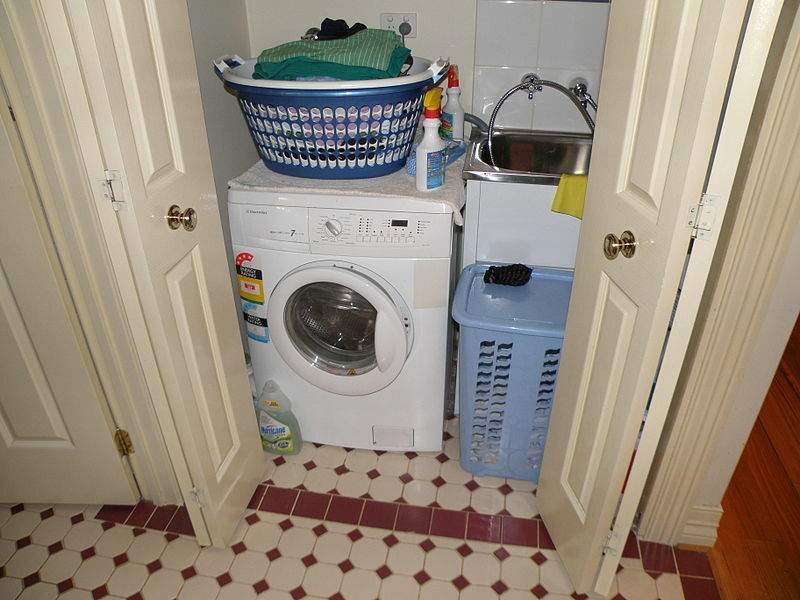 Folding your clothes will take up much more space. While rolling them may cause more wrinkles, it saves a lot of space. Don’t roll everything individually. Pair up the tops and bottoms of your garments and roll those together. Fragile items should be placed in the center of your checked suitcase. If they are in the center they will have protections on all sides from getting banged up by other items or luggage during the trip. Or, if there is room, you can put them in your carry on. Toiletry items can burst open in on your trip and ruin clothes or books. Good ways to keep this from happening with your toiletries is to tape down lids, place them in Ziploc bags, or both. Books are one of the heavier items you will be taking. To keep from having one heavy bag and one light one, evenly distribute your books between your suitcases. Shoes are lighter items that take up more space so it is a good idea not to pack all of your shoes in one suitcase. Keep your shoes from getting your clothes dirty by placing them in a plastic grocery bag. Stuff your shoes with socks or other clothing items to keep them from becoming smashed and misshaped. This also saves space. Luggage can occasionally be misplaced, delayed, or lost on its way to your final destination. If this happens, you won’t have to wear the same clothes two days in a row if you have an extra set of clothes in your carry on. Then you can change into new clothes while you wait for your luggage to arrive. You can never be sure when it will rain and if your aren’t prepared, your books will all get wet. It is no fun when your scriptures or planner get soaked in a rain storm so be ready for that. 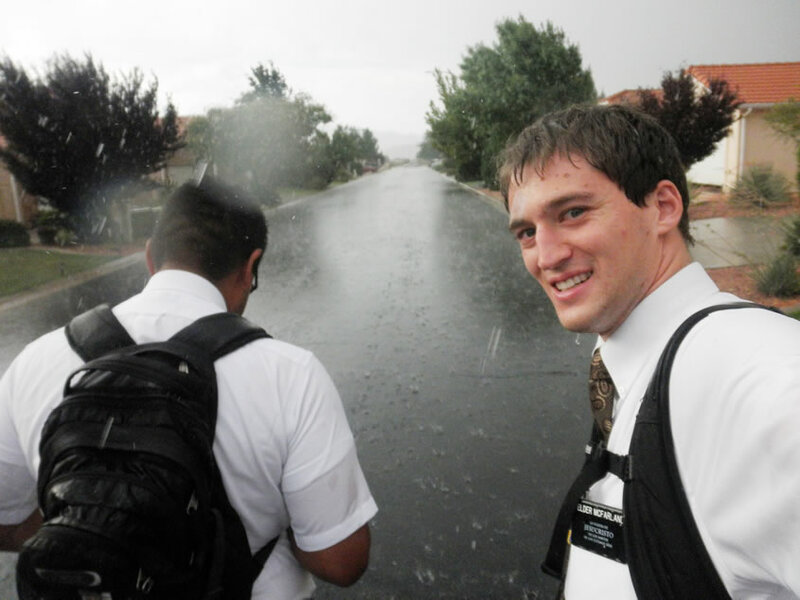 Depending on where you go, you may be on foot a lot and not have a vehicle that can protect your scriptures, pamphlets, and planner from the rain. A nice way to keep them dry is to carry one or two plastic grocery bags in your scripture bag or backpack that you can put your scriptures in if it starts to rain. This will keep everything safe and dry. Should any major injuries or illness occur, you should seek medical attention. In the case of minor injuries and sickness, it is very helpful to know what kinds of medicine treats or alleviates specific symptoms. It is a good idea to know what kind of medicine to take for a fever, a headache, upset stomach, diarrhea, the flu, a cold, constipation, a fungal infection on your feet, or if you have an allergic reaction. There is a YouTube video with 10 safety tips for sister missionaries shared by returned sister missionaries. Each mission will also provide sister missionaries with safety tips and suggestions specific to their mission. Let us know what helped you prepare for your mission. Talks, quotes, leaders, anything.